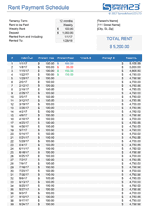 Track your rent payments with Excel using this Rent Payment Schedule template. 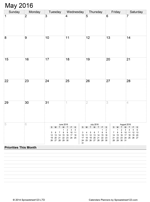 Printable Monthly Student Schedule template, which allows to create a class schedule and enter important tasks and assignments. 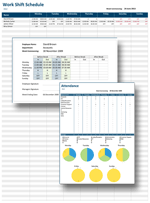 Printable monthly attendance tracker for tracking class attendance or attendance at church, summer school or workshops. 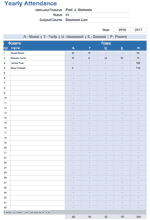 Track daily, monthly and yearly attendance of the students in class using this simple class attendance tracker. 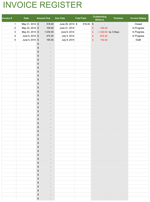 Includes tabs for every month from August to July. 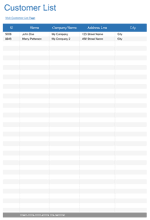 Simple to use Customer List template that can store all your valuable customer data in a single place for easy access. 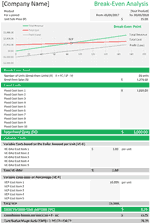 Simple to use Net Paycheck calculator for excel which helps to estimate your take home pay. 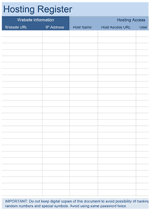 Also see Net Paycheck for California with California State Tax Table. 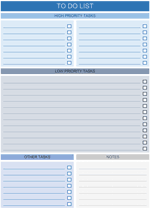 Printable daily to do list for keeping record of the tasks for entire week, helps to be more productive and organised. 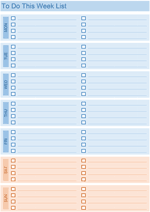 Printable prioritized to do list template for keeping record of your tasks. 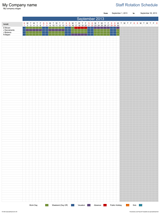 Includes space for tasks with high priority. 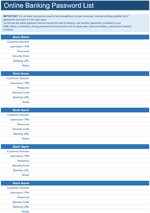 Easy to use Online Banking Password List template to help you create and remember complex passwords for your day-to-day online banking. 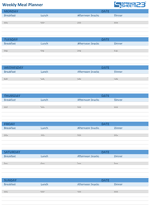 Printable Website Password List template, which helps with creating a list of the websites or blogs and their login credentials. Suitable for small web-development agencies and freelancers. 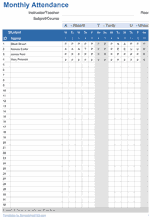 A Password Log template for Excel® that helps to keep log of your Email access usernames and passwords in one secure place. 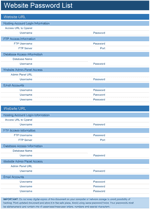 Printable Hosting Register for storing hosting related information, access passwords and other important details in one place. 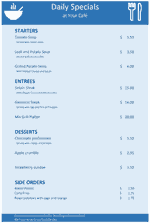 Simple Daily Special Menu planner, which helps to quickly create and print menus daily for your restaurant or cafe by selecting predefined dishes from the list. 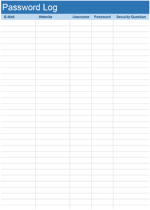 Track all charitable donations using this simple to use Event Fundraiser template for Microsoft® Excel®, Google Docs and OpenOffice.org. 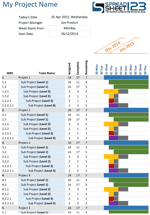 Professional Project Gantt Chart template for project scheduling and management. Manage tasks and subtasks, create task dependencies, monitor the progress of each tasks and your project with ease. 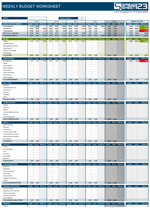 Free Project Planner spreadsheet to help you start planning your projects and project related tasks in minutes. 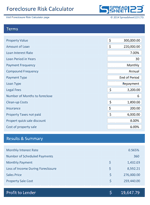 Free Foreclosure Risk Calculator that helps in assessing risk of loss factor involved in process for both buyer and sellers. 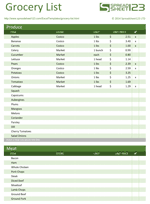 This printable Weekly Meal Planner template helps to quickly plan your family or school meals with ease. 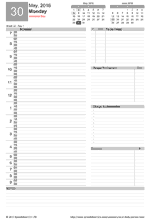 Free Printable Monthly Planner which helps in creating monthly schedule for your family, household or business. 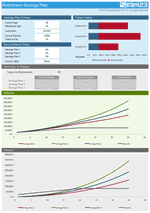 College Student Budget calculator - the simple way to create your college budget plan. 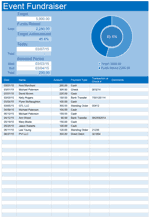 This template introduces a simple and easy ways of creating and maintaining logs for all of your organization's sent invoices and payments, with highlight indications for any outstanding payments. 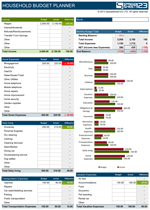 Professional Invoice Management software based on Microsoft® Excel® spreadsheet, suitable for small and medium size business organizations. 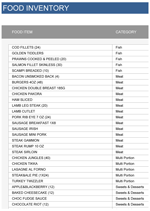 Grocery list template, which provides great help when creating your weekly or monthly shopping list as well as computes an estimated cost of goods in your shopping cart. 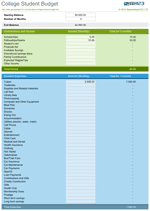 Party Budget worksheet, helps to easily organize and calculate all expenses related to planning a special event. 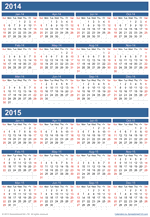 Printable Staff Rotation Schedule helps to create monthly rotation schedule for your staff and hang it on the wall. 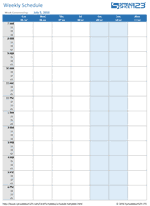 Template uses conditional formatting that helps to distinguish work days from weekends and public holidays. 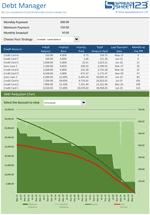 Food Stocktake helps to track your food inventory, perform weekly stocktakes, reduce amount of food loss and maintain healthy profitability margin. 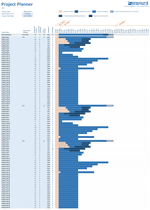 Create work shift schedules using this simple staff scheduling system. 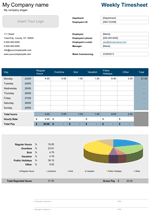 Simple Weekly and Bi-weekly Timesheet Template suitable for use in any business organization with many employees, helps in keeping track of work hours, overtime, vacation hours as well as weekly gross weekly pay amounts. 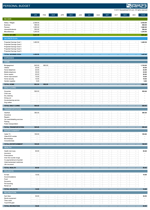 Yearly budget worksheet for planning your personal budget. 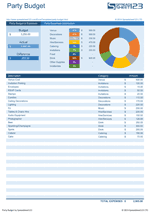 Includes categories for a single person budgeting needs. 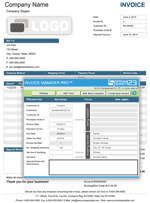 Ideal for monthly and yearly budget and expense tracking. Suitable for students. 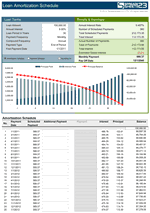 A monthly budget planner, designed to help with planning your monthly spending aligned with your projected budget, contains same categories as a yearly budget on the left. 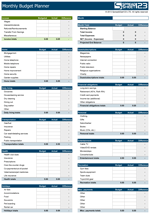 Weekly budget helps to get a closer look at your week-to-week expenses Ideal for students and families with a small income, also includes bi-weekly budget worksheet.